A growing number of cases pending before trhe European Court of Justice (ECJ) concern the fundamental freedoms and direct taxation. This book scrutinises the national background of the most important of these cases and examines possible infringements of fundamental freedoms. The focus of each analysis is on the questions submitted to the ECJ by the national courts. Moreover, where available, the opinion of the Advocate General is discussed. The cases are presented by esteemed national and European tax law experts. 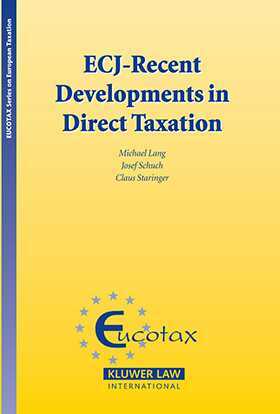 This book goes to the heart of the national tax systems, exposing hidden obstacles to fundamental freedoms.